California liens, bond claims, and lien related documents at your fingertips. Want to get paid for work performed on a California construction project? The best way of collecting for work performed or materials delivered on a California construction project is to file a California mechanics lien. A property lien in California can be filed when work is performed or materials are provided to improve a property, but the person performing the work has not been paid. California mechanics liens were created by the California legislature to protect those who perform work to improve property, but the requirements of the lien law statutes are strict, and it is important to file a mechanics lien the correct way in order to avoid the lien being invalidated. With that in mind, you probably want to know when you should file a California Mechanics Lien, why you should file a California Mechanics Lien, where to file a California Mechanics Lien, and how to put a lien on property in California. When should a California Mechanics Lien be filed? When a California mechanics lien is filed depends on a couple of factors, including whether payment for work performed on a construction project is overdue, whether the project is completed, and the lien claimant's last day of work. If payment for work on a construction project is overdue, a California Mechanics Lien can be filed for the amount that is owed. But there are time limits to when a lien can be filed, and waiting too long will result in a potential lien claimant losing his lien rights. In California, it is required that prime contractors file a mechanics lien within 60 days after a notice of completion or notice of cessation is recorded. The notice of cessation or notice of completion are documents that are filed by the owner with the county clerk's office. In the event that the recording of completion or cessation is not performed by the owner, then the prime contractor has 90 days after the completion of the work of improvement to file a mechanics lien. if the mechanic's lien claimant is a subcontractors or supplier, then they must file a California claim of lien within 30 days after a notice of completion or notice of cessation is recorded; if the owner fails to file a notice of completion or cessation, then the subcontractor and supplier have 90 days after the completion of the work of improvement to file the mechanics lien claim. Why Should a California Mechanic's Lien be Filed? Why to file a California mechanic's lien is because a payment is overdue and that money can be secured by the property on which the work was performed. Placing a lien on the property results in the property acting as collateral, and allows the claimant to force a sale or foreclosure of the construction project if he is not paid for the work performed. A mechanics lien also places the claimant in a better position for negotiating payment, because now the owner's property is harder to sell, transfer or finance. Where Should a California Mechanic's Lien be Filed? It is important to know where a California Mechanic's Lien should be filed because filing it in the wrong place may result in the mechanic's lien being invalid. How to put a lien on property in California includes where the lien is filed, because a property lien in California cannot be filed just anywhere. In California, a mechanic's lien must be filed in the county where the liened property is located. If the mechanic's lien is not filed in the county where the property is located, then the lien may be declared invalid. The reason for filing a lien in the county where the property is located is that when a property is being sold, refinanced, or transferred, the potential owner or lender often review the property records of that county to ensure that no liens or other encumbrances exist. Properly filing a property lien in California depends on filing that property lien in the correct county. How to file a lien on property in California is a process that starts with creating a mechanics lien document that includes all the information required by the California lien law. This information includes the amount owed, the work you performed, and the specific location of the property, along with a legal description of the property. Of the many things that come up when learning how to put a lien on a property in California, is how to describe the labor and materials that were provided to the project. Many times, the labor and materials is already described in the contract, and usually this description is sufficient; but the rule of thumb is that the description be as specific as possible so that the owner knows what work resulted in the California mechanic's lien. The next step on how to file a lien in California is to ensure that you are filing a lien in the county that property is located. A California property lien filed in the wrong county will most likely not be valid. When you know how to put a lien on a property in California, you can be assured that the property lien will secure the money that is owed for construction work or services provided. The best way to file a lien in California is by using LienItNow.com. Through its online service, LienItNow.com prepares, files and serves California construction mechanics liens. When a California construction lien is filed with regard to work performed on privately owned property, it attaches to and encumbers the fee simple ownership of property. On public projects, stop notices and bond claims have a similar effect with regard to the project funds. Click Here to File a California Lien. If you are looking to file a California Lien Release, that most likely means you got paid for all that hard work you did. Congratulations! Now comes the easy part: filing a lien release is important, but it isn't hard, thanks to the online services provided by LienItNow.com. But first things first: you probably want to know when you should file, why you should file, where to file, and how to file. When should a California Lien Release be filed? A lien release in California should be filed after the dispute that resulted in a California mechanics lien claim has been resolved. A resolution can take many different forms, and a California lien release should only be filed if the lienor agrees that the mechanics lien should be released. In most cases, a lien release in California is filed when a the claimant who filed the construction lien is paid the amount the lienor set forth in the lien. There can also be other reasons to file, such as when the claimant agrees to take less than the amount set forth in the mechanics lien as part of a negotiation or settlement, and a requirement of that negotiation is that a lien release be filed. On some occasions, a court may require the discharge of a mechanics lien, and in that case the claimant is required to file a California lien release. Many times, a claimant files a California mechanics lien, but decides not to move forward with foreclosing on the lien in court: all California mechanics liens have expiration dates, and if the mechanics lien expires, the claimant should file a California lien release. Why should a California Lien Release be filed? The most basic answer to why a lien release should be filed is because the California mechanics lien is no longer needed or valid. The purpose of a California mechanics lien is to secure moneys owed to a claimant with collateral: i.e. the owner's real estate that was improved by the lien claimant's work or materials. Once those liened moneys have been paid, or the mechanics lien has expired or ordered to be released, then the claimant has no reason to maintain the mechanics lien on the property. The lien release will remove the mechanics lien, and the property owner will be able to transfer his property, sell his property, or finance his property free of the mechanics lien encumbrance. Where should a California Lien Release be filed? A California Lien Release should be filed in the same county clerk's office that the original California Mechanics Lien was filed. Usually, a California Mechanics Lien is filed in the same county in which the liened property was located. If you have a copy of the original California mechanics lien, that document indicates where the lien was filed, and the lien release should also be filed in that same county. A lien release in California should be filed by sending a copy of it to the county clerk's office, along with any applicable filing fees, for recording. 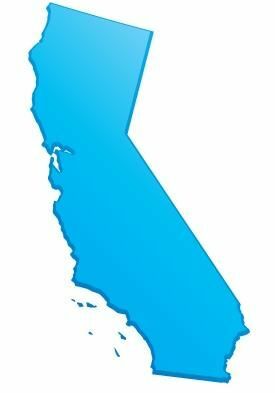 California does require specific information be listed on the lien release, including when and how the mechanics lien was filed, along with specific property information. We know this information can be difficult to find, so LienItNow.com prepares, files and serves California Discharges of Mechanics’ Lien Claims. Once the lienor has been paid the amount contained in its lien claim, or has come to an agreement that requires the lien claim to be removed from the property records, a Discharge of Mechanics’ Lien Claim should be filed. Click Here to File a California Lien Release. LienItNow.com prepares, files and serves California preliminary notices to owner. On both public and private projects, a preliminary notice is required within 20 days of the commencement of work on the property, or they jeopardize their mechanics lien, stop notice and bond claim rights. Subcontractors and suppliers should provide written notice to the owner, the general contractor and the construction lender that they are performing work on the property. Contractors should provide a preliminary notice if there is a lender financing the project. If the notice is served late, then the claimant can claim a lien or send a stop notice or bond claim only for the value of the labor or materials provided in the 20 days preceding the service of the notice and thereafter. Click Here to File a California PreLien Notice. LienItNow.com prepares and serves California Stop Notices. A Stop Notice can be filed on both public and private projects, and is a notification that has the ability to enhance the effectiveness of a mechanic’s lien. A Stop Notice, or a notice to withhold funds, is sent to the company that is financing or funding the construction funds for a project. Once that company receives the Stop Notice, that company has notice that it should withhold sufficient money to satisfy the stop notice claim. The purpose of the Stop Notice is to provide the owner, financiers or funders of the construction project notice that there is money owed to a contractor, subcontractor or supplier so that an inquiry can be made as to why that money is not being paid. The 20 day preliminary notice is required to be eligible to file a Stop Notice on both public and private projects. If the preliminary notice is served late, then the claimant can only claim a stop notice for the value of the labor or materials provided in the 20 days preceding the service of the notice and thereafter. Click Here to File a California Stop Notice. LienItNow.com prepares, files and serves California Amendments to Mechanics’ Lien Claims. Amendments to a mechanics’ lien claim are often needed when something about the claim changes. Common changes to a lien claim are increases or reductions in the amount due to the lienor, or a change to the last date of work. Click Here to File a California Lien Amendment. LienItNow.com prepares, files and serves California Bond Claims. Bond claims can only be filed on a project where the owner, contractor or subcontractor has obtained a payment bond to ensure that every contractor receives payment for the work performed on the Project. The payment bonds issued by sureties for construction projects have specific timing requirements, but most require claimants to submit claims against the bond within sixty to ninety days from the claimants’ last date of work. Bond claims are as or more effective than a lien claim because the payment bond acts as a guarantee that payment will be made for work properly completed. The 20 day preliminary notice is required to be eligible to file a Bond Claim on both public and private projects. If the preliminary notice is served late, then the claimant can only make a claim against the bond for the value of the labor or materials provided in the 20 days preceding the service of the preliminary notice and thereafter. Click Here to File a California Bond Claim. More questions? 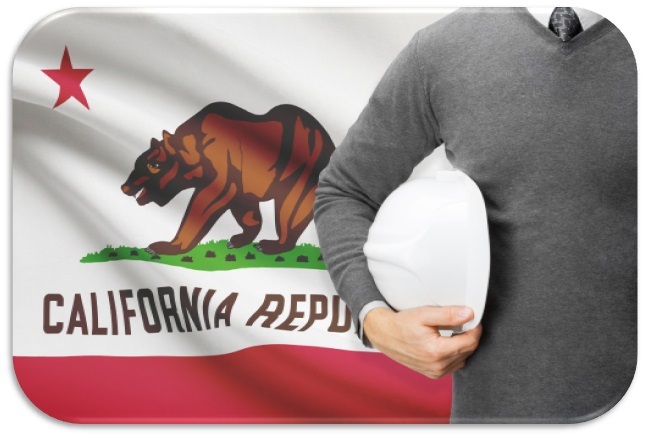 Visit our California mechanics lien FAQ page.